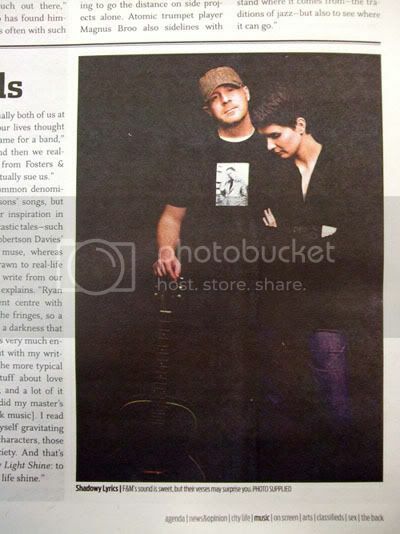 F&M is playing at the Black Dog this weekend, and See Magazine has an article in their music section. if you’re around whyte ave on saturday grab a drink and take a listen. i know you won’t be disappointed. [Update] there was a fire at the Black Dog, so the show is rescheduled for Feb 6th at O’Byrnes instead.